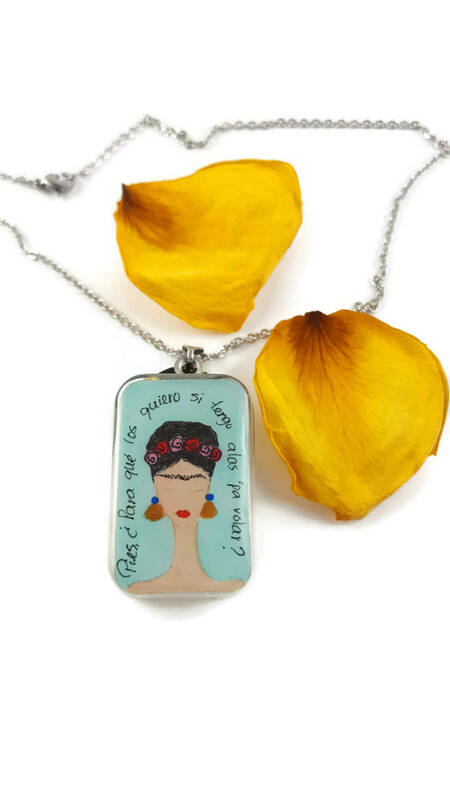 Frida Kahlo was definitely a symbol of women liberation, feminism, strength, talent and passion. 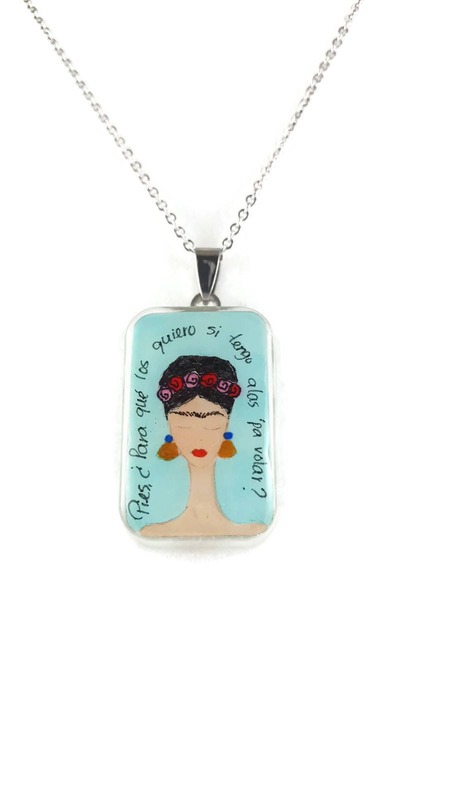 Frida Kahlo pendants are my best sellers, in any color and with any quote. 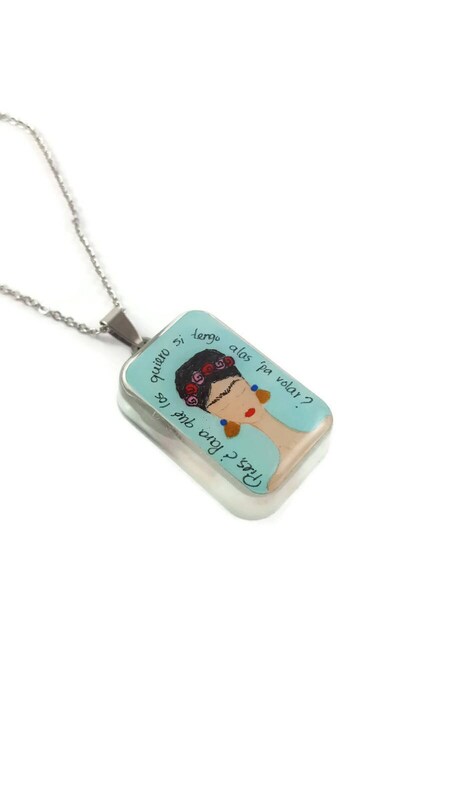 It's a handmade illustration conserved in a 1/4 inch resin thickness. 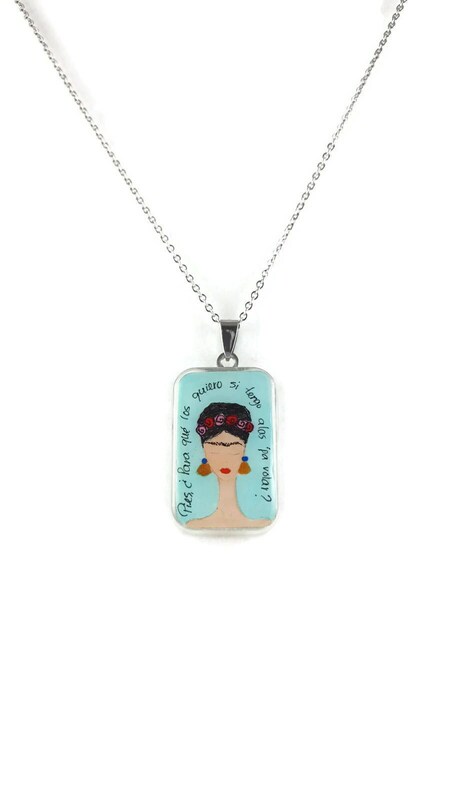 We can send a personalized note with your pendant! Just make sure to write the note on the comment section when you purchase this item.